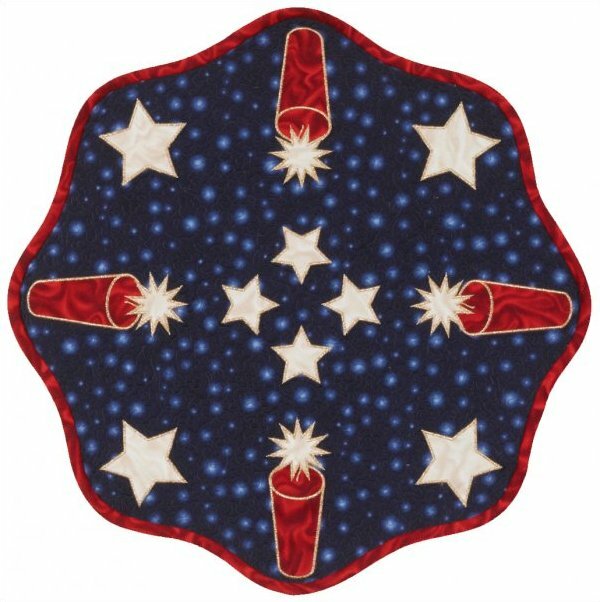 We've digitized these firecrackers and stars for machine embroidery appplique in both rayon (normal density stitching) and metallic (less dense) threads. You'll receive files for both options. The pattern for the scalloped edge table topper, shown, is in the spring 2011 issue of Quilting Celebrations magazine, available below. Fire cracker 2-1/4 x 5-1/2"
Large Star 3 x 2-3/4"
Small Star 2 x 2-1/8"